Here is a current exterior photo of the building we are transforming from inviting kitchen store to funky nanobrewery. This building is one of just a handful of three story buildings in downtown Cedar Falls. As recent as 2005 the building was renovated and the exterior brick tuck-pointed. 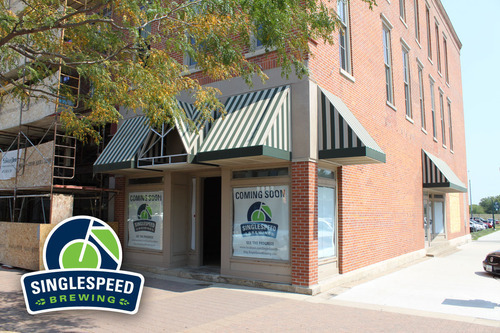 New awnings, a neon sign, and additional window are on the way!